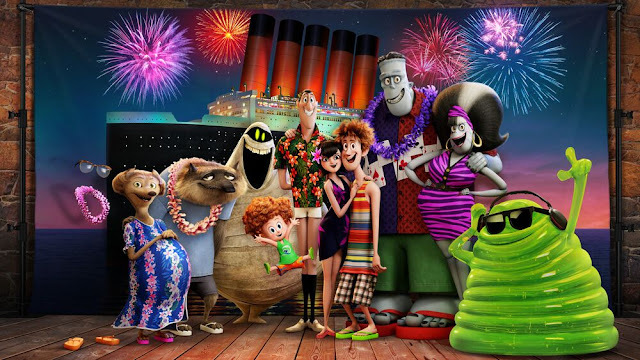 Sony Pictures Animation’s Hotel Transylvania 3 follows our favorite monster family as they embark on a vacation on a luxury monster cruise ship so Drac can take a summer vacation from providing everyone else's vacation at the hotel. It’s smooth sailing for Drac’s Pack as the monsters indulge in all of the shipboard fun the cruise has to offer, from monster volleyball to exotic excursions, and catching up on their moon tans. But the dream vacation turns into a nightmare when Mavis realizes Drac has fallen for the mysterious captain of the ship, Ericka, who hides a dangerous secret that could destroy all of monsterkind. Drac and the gang are headed out on a vacation which is so funny because he owns a hotel for all the other monsters to go on vacation yet they all go on vacation with him. Does no one work anymore? 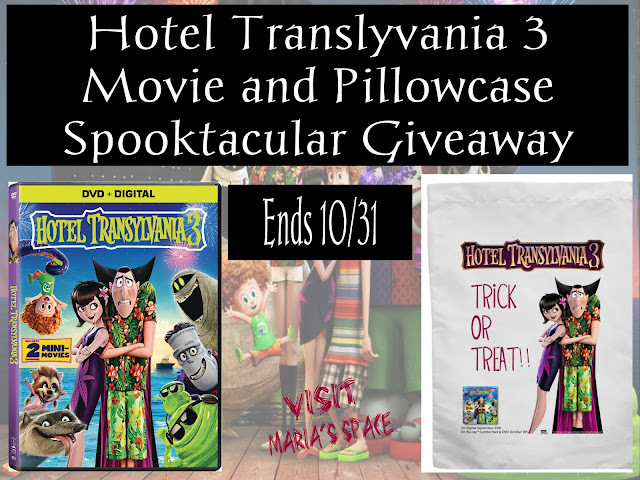 Anywhoooo...we love Hotel Transylvania Mavis and the rest since the first movie. We also loved the flashback of Drac doing away with every Van Helsings (the vampire slayer) that has ever tried to do him in. 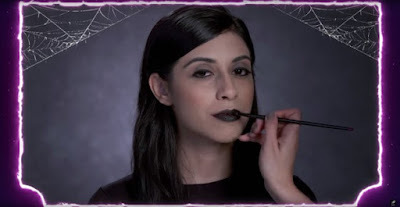 Mavis, the good daughter she is decides her dad needs a vacation while there he falls for the ships captain...spoiler alert...a Van Helsing. She is working with an ancestor to finally end Drac. Hey...it's what vampire slayers do. No hate here! My kids and I enjoyed the movie. We loved seeing the characters in a different way. Blobby and Drac's dance routine was hysterical. The werewolf babies are once again ridiculously funny. The on-line dating app was funny too! So many monsters looking for love. Our favorite character was Dennis' puppy Tinkles. How can two kids stow away an elephant size, drooling puppy?! 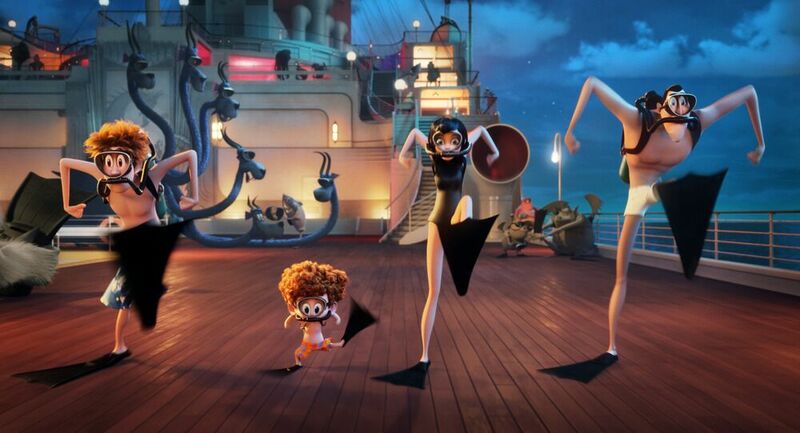 Definitely a fun, family film especially if you have watched the first two and love these characters. I plan on seeing this with my little niece and nephew,I've never seen these movies so I'm very excited. Mavis is my favorite character. I would be watching this with my husband and kiddos. My favorite was Winnie and I would love to watch this with my granddaughter we both love the movies! I like Drac the best. I would love to watch this with my three children and husband! I plan on watching with my family. I want to see this with the hubby! I would watch this with our grandkids. Dracula is our favorite character. Drac is my favorite character. My fave character is Mavis and I would love to watch this with my daughter. I will be watching it with my daughters. I would be watching this with my 2 granddaughters (sisters). 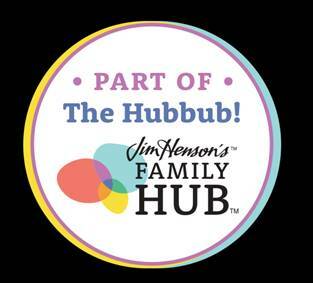 I plan on watching this with my grandsons -- looking forward to seeing it. The Drac is the best! !